In some cases, 5 days is not enough time for a guy to feel completely ready to talk to his ex woman again. So, if you have some doubts about whether or not you are ready to re-attract her, don’t worry about it. Whatever you do though, just don’t make the mistake of sitting at home moping, thinking about your ex and hanging on to your phone in case she sends you a text or calls you and you miss it. Instead, use the time apart to get out and be social with other people. Do something with friends, get out and have fun and do some of the things you may have neglected while in a relationship with your ex (e.g. starting a new hobby or sport). Not only is this a great way to take your mind of the fact that it’s Day 5 of No Contact, but it also serves to remind you that, although you really do miss your ex and WANT her back, you don’t actually NEED her back to be happy and live a fun life. The more emotionally independent you become, the more attractive you will be to her when you interact with her again. When you have friendships, fun interests and big goals that are separate from your relationship with her, it is less likely that you will become needy, clingy and insecure because you’re not basing your whole identity on being in a relationship with her. The relationship that you have with her is important to you and is a great part of your life, but it doesn’t define you as a man. You are a man with or without her. You are enjoying life, making progress and feeling good about yourself, with or without her. That is very attractive to women. It’s also something that automatically makes a woman look up to a man and respect him. Women hate it when a guy needs a woman’s emotional support to feel like he is okay, valuable, worthy and important in this world. In other words, women don’t like needy men (unless of course, the woman is very unattractive and wants an emotionally weak man that she can control). Most women want a man that is emotionally strong and emotionally independent on her, so she can look up to him and respect him. So, make sure that you push yourself to enjoy life without her and remind yourself that she doesn’t define you. As a result, you will automatically be more confident, have higher self-esteem and will be the kind of man she can look up to and feel proud to be associated with. Friends are not always available to go out when you are. You’ve got to be stronger than that, rather than hiding behind easy excuses. I understand that you might not be feeling the best after being dumped, but now isn’t the time for you to be emotionally weak or lazy. You need to use the time apart from your ex to quickly boost your confidence, feelings of self worth and happiness without her. Going out and doing things with other people is not just about keeping busy for no reason at all. It’s a way for you to become more emotionally independent and as a result, appear more interesting, appealing and attractive to your ex when you interact with her again. 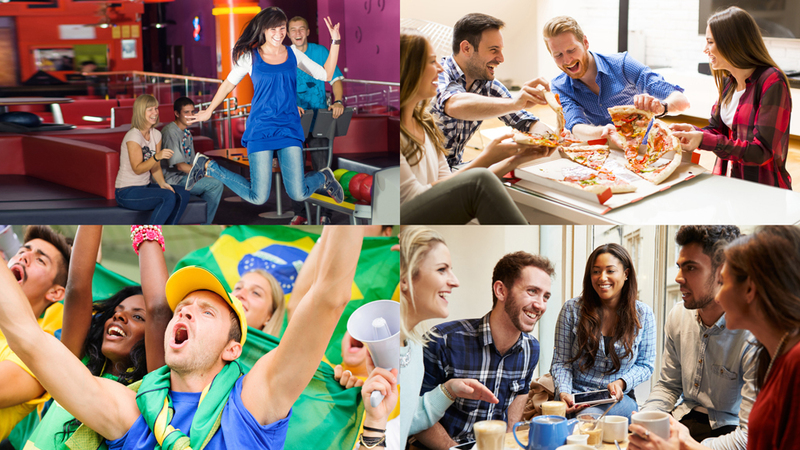 Meetup.com is a website that brings like-minded people together to do, learn and explore the things that they feel passionate about. Regardless of where you are in the world, there is most likely a meet up happening near you today, tomorrow or this weekend. Whatever you’re into, chances are there are other people in your town or city who are into it too. If you’re not into any of those things, then force yourself to attend the one that is the most appealing. You may just enjoy it and have a good time. Get out there and try something new. You might even end up running in a local mini marathon, writing a book, reading a book that changes your life, or even changing your career all because you found the right people to talk to and be supported, or mentored by. By getting out there and having fun, you will regain your ex’s respect and attraction for being the kind of man who didn’t sit around feeling sorry for himself during the break up. Of course, she might pretend to be angry that you’re enjoying yourself without her. So, don’t be surprised if she does react in that way. Remember though: It’s just a test. She wants to test to see if you really are emotionally independent now, or are just putting on an act to impress her. So, don’t fall for her pretend anger or frustration. Just laugh it off and don’t let her bully you into thinking that you need to be lonely and wait around for her to hopefully come back. Don’t forget that women are attracted to men who are emotionally strong and emotionally independent of them. Even though she might not openly admit it, she will feel respect and attraction for you for getting on with life, rather than sulking and being Mr. Lonely at home without her. If you haven’t already contacted her and gotten her back, Day 5 of No Contact is a good time to check on your progress so far. Note: I don’t recommend that every guy waits 7 days before contacting his ex woman. So, if you feel ready to contact her, go ahead. Have you improved some of the things that really matter to your ex, or are you still stuck at the same level you were at before? For example: Are you still insecure? Do you still have no idea how to get her to look up to you and respect you as her man? Are you confident with your progress so far and feel like you are ready to contact her and re-attract her, or do you feel as though there is still some room for improvement before you interact with her again? Will you be able to pass your ex’s tests, or are you more likely to fall back to behaving like the old you (e.g. 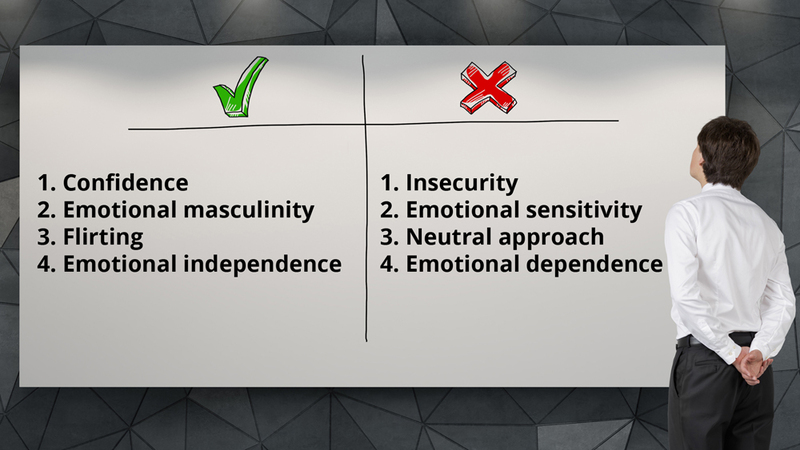 emotionally sensitive, unsure of yourself, moody, insecure) if she puts the pressure on? For example: Imagine that one of the main reasons why she broke up with you was because you stopped being the confident, emotionally strong guy that she initially fell in love with. You started doubting your value to her and became jealous and controlling as a result. Since then, you’ve made some real improvements and you feel a lot more confident, self-assured and worthy. Yet, you’re still not fully over your feelings of jealousy. You worry about her finding other guys more attractive than you, hooking up with them, enjoying it and never wanting to be with you again. You also worry that if she tells you that she has been seeing a new guy, it will further destroy your confidence and you won’t be able to hide that when interacting with her. If that applies to you, then you know exactly what you need to improve on before you make that first phone call. You’ve got to get rid of your feelings of unworthiness and truly start believing in your value as a man and your ability to make her feel real attraction for you. If you skip that step, then you run the risk of completely turning her off if she puts some pressure on you by being cold or rude, or talking about other guys who are now interested in her. So, make sure that you are fully prepared to win when you interact with her. Make sure that you are emotionally ready to handle any challenges she throws your way and come out on top. When you assess how much you have improved since the break up, you will have a clearer picture on what is left for you to still improve, adjust or change. A lot of guys make the mistake of treating their woman more like a neutral friend, housemate or buddy. This usually causes a woman to feel manly, boyish or unattractive around her guy and the relationship then starts to feel weird. They may get along well as people, but the sexual and romantic spark dies out because they are too similar in their energy. What the guy needs to do is start thinking, talking, behaving, acting and being more masculine in every way he can, which then allows her to be feminine and to feel attracted to him again. Another improvement that a guy can make is regarding his goals and ambitions in life. Some guys have gotten to a point in life where they are comfortable and as a result, they’re not really aiming for much more. This may cause their woman to feel insecure about her future with him. She may worry that if they start a family, or experience some financial problems in future, he won’t have the motivation, skill or drive to help keep them safe and secure. So, she will begin to nag him and try to push him to man up and reach for his true potential, rather than just aiming to be mediocre. If he doesn’t change, she will lose respect for him and begin to feel like a future with him isn’t as appealing as she once thought. Another improvement that a guy can make is to stop being emotionally dependent on his woman for his sense of identity and purpose in life. A guy who makes his whole life about his woman usually becomes clingy, needy and insecure as a result. This then makes a woman feel smothered and turned off. She may enjoy it initially, but she will eventually realize that she’s with a man who hasn’t yet grown up. He might think that she is being unreasonable, selfish or unloving for wanting him to spend time on other things, but it’s just her natural instinct as a woman. Women want to align themselves with a man who has what it takes to protect and provide, rather than getting stuck with a man who may need her confidence and savvy to protect him from challenging situations they encounter in life. Naturally, the above examples may or may not be relevant to you and your ex. One of the main keys to getting her back though, is to find out what is relevant to you and then quickly improve those things before you contact her again. Another thing you can do on Day 5 of No Contact is…. A lot of guys might think that using body language to affect one’s mood is a bunch of hocus pocus. Yet, it’s such an important aspect of feeling good about yourself that researchers at Harvard Business school have spent a lot of time gathering evidence of its effectiveness. In one experiment, the researchers asked some participants to power pose before they walked into a room, while others did whatever they wanted to prepare themselves. The results were that those who power posed were rated as being more confident, intelligent and skilled by the audience in the room than those who didn’t. As a bonus, the power-posing candidates also felt more confident and powerful. Instead maintain an open mind and just give it a try. Roll your shoulders back, open your chest and lift your chest up. Do the “Rocky” victory dance, or if you don’t know what that is, just act like a winner who has just one the biggest competition of all time. Own your space in this world and feel proud of who you are right now. Make yourself feel like THE MAN. Even if you feel a bit self-conscious in the beginning, just give it a shot. You will be pleasantly surprised at how confident you feel as you do it and for a short while after. Of course, you can’t do that in front of your ex because she’ll obviously think you’ve lost your mind since the break up! Instead, just do a subtle version of it before calling her and as you are about to meet her in person. Don’t let her see what you’re doing of course! Hold your head up a little. Believe it or not, it doesn’t actually get easier to contact your ex the longer you wait. Some guys hope that if they wait for 30 or 60 days, all the fear will be gone and they can then confidently contact their ex. Yet, it just doesn’t work like that for most guys. Rather than feeling confident, a guy will often end up worrying himself into feeling more insecure and unworthy of her than before. Remember: As long as you have made some changes to the things that really matter to your ex (e.g. you are so much more emotionally independent now, you’re more confident and emotionally strong, you know how to be more emotionally masculine around her to make her feel feminine and girly in your presence), then you are ready to contact her and start the ex back process. So, just bite the bullet and get her on a phone call with you. On a phone call, you can re-spark her feelings for you by being very confident and making her laugh, smile and feel good to be talking from you again. Note: Make sure that you don’t make the mistake of getting caught up in a serious conversation with her where you talk about everything that went wrong in the relationship. If you allow that to happen, it will usually just bring up the bad memories and make her feel turned off. On the other hand, if you maintain your confidence no matter how cold and unfriendly she’s being towards you, while at the same time using humor to break down her defenses and make her feel good to be talking you, then she won’t be able to resist you for long. Her feelings of respect and attraction for you will come rushing back, whether she wants them to or not. Then, when you ask her to catch up in person, she will likely jump at the chance to see you again, or at least be open to it and go along with it to see how she will feel when talking to you in person.